TORONTO, Ont. (June 2, 2016) — Knowledgehook was today named Top Disruptor of BNN’s original series about tech innovators, The Disruptors. 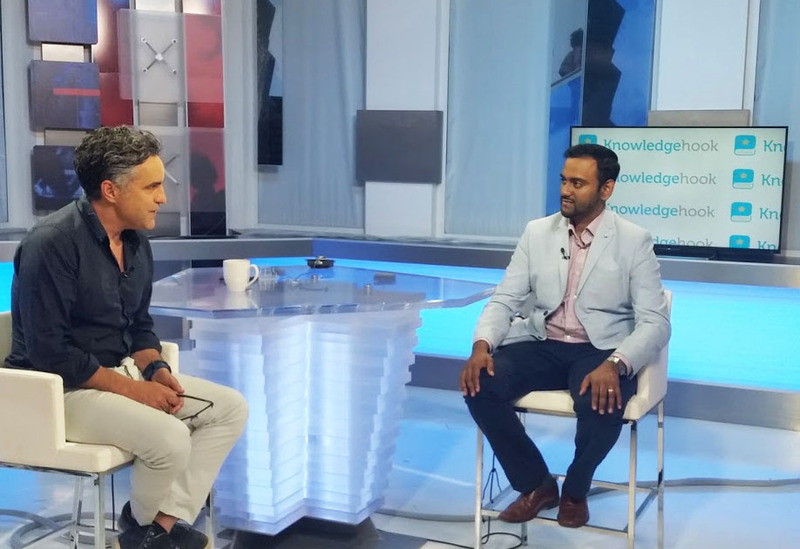 Knowledgehook, a software company that analyzes the academic performance of math students in real-time play to recommend alternative teaching practices, was one of 38 companies to this season pitch their business concept to hosts Bruce Croxon and Amber Kanwar. Startups profiled on each segment of BNN’s The Disruptors, a weekly, half-hour program that airs at 7 p.m. on Thursdays, compete each season for the Top Disruptor title. Following tonight’s appearance, Knowledgehook will be given the opportunity to pitch to Croxon’s investment company, Round 13. Winning the Top Disruptor title comes less than a month since Knowledgehook received Google’s Game Changer Award at the tech giant’s annual Demo Day in Silicon Valley. To date, more than 6,000 Ontario math teachers have begun zeroing in on each students’ key misunderstandings after reviewing predictive insights which Knowledgehook software generates. Early results from Knowledgehook suggest that at least 1 in 6 Ontario students in Grade 9 Applied Math are struggling to understand ratios. Knowledgehook unpacks their misunderstanding and suggests how teachers can address it. The finding, which echoes those of Ontario’s 2015 standardized tests, is based on analysis of more than 2,400 anonymized users between September and April 2016, accurate to within 95% confidence, and a margin of error of 2.5%. Knowledgehook was founded by Travis Ratnam, Lambo Jayapalan, Arthur Lui and James Francis. The team is grateful for the support of mentors from Communitech’s Rev and the Accelerator Centres’ AC JumpStart programs.